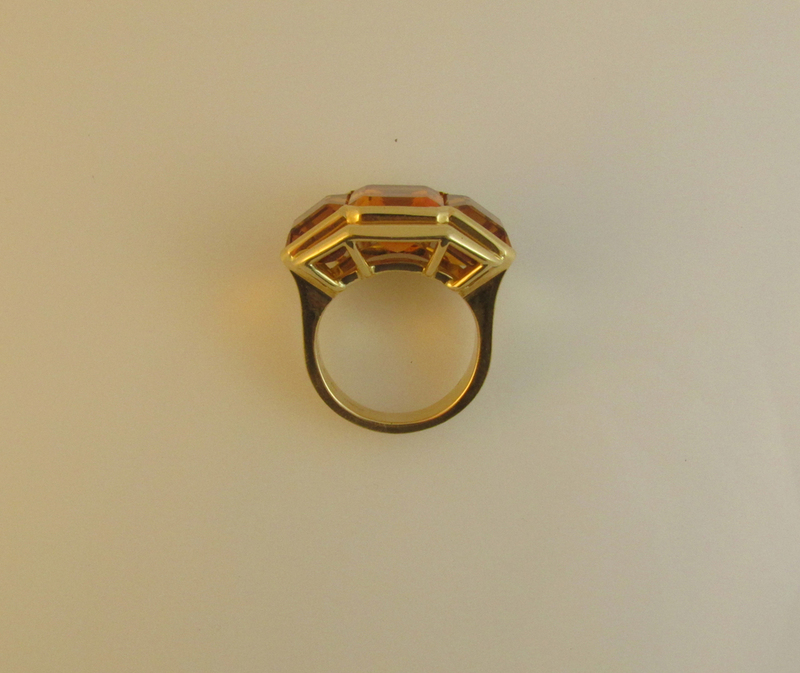 18KT yellow gold Signature ring set with three citrines weighing a total of 12.60 carats. Ring size 6.5. Signed Meriwether.